The Difference Between "Aviation" and "Space." The Monday announcement by the helicopter unit of the European Aeronautic Defence & Space Company (EADS) of it's intention to buy all the outstanding shares of Canada's Vector Aerospace highlights the obvious differences between the aviation industry and the space systems sector which some federal politicians and lobbyists have artificially (and perhaps accidentally) slapped together into a confusing business "mashup" they call the Canadian "aerospace" industry. And they've done it just in time for the next federal election. But to get some background on the issue, we need to look at the March 23rd, 2011 press release from the Canadian Space Commerce Association (CSCA) which states that the proposed 2011 federal budget, which contains provision for a 12 - 18 month strategic review of the combined "aerospace" industry, is "not optimal" for the requirements of the "space" component of the "aerospace" industry. According to the press release "the smaller, but growing and primarily Canadian owned space systems sector has a different set of planning and policy requirements than those appropriate for the much larger aviation industry." The press release also suggests that the the Canadian Space Agency (CSA) already possesses a completed review of the space industry in the ever elusive long term space plan (LTSP), first mandated as a priority by then Industry Minister Jim Prentice in his September 2nd, 2008 speech introducing astronaut Steve MacLean as the next CSA president. The press release concludes by stating that the never released LTSP (which has been sitting in Ottawa patiently waiting for approval since 2009) should "be utilized immediately as the basis for a space policy review, and such a review should not be tied to, or delayed by, any new government review of the aviation industry." So what's the difference between aviation and space systems? That's easy. The aviation industry is defined and driven by international access to new markets, the number of domestic jobs created and the foreign investors which have contributed to this job growth by providing contracts and buying up or integrating local companies like Vector into the international marketplace. These priorities and policies are in evidence when you look at federal government promotional websites like the Government of Canada - Invest in Canada - AEROSPACE website, which focuses on recent global investments in Canada from Esterline/CMC Electronics, Boeing Canada, Pratt & Whitney Canada (all three subsidiaries of US based companies) and Goodrich Aerospace of North Carolina, plus provides a listing of major, global and mostly foreign investors in Canadian aerospace industries and a much smaller listing of Canadian based aerospace companies. These policies and priorities are also in evidence when we look at the Vector deal. It's valued at $625 million Canadian CDN according to the March 28th AFP News article "EADS' Eurocopter to buy Vector Aerospace." It's also "the most significant acquisition for EADS since its creation in 2000" according to EADS CEO Louis Gallois and as a bottom-line perspective, this compares quite well with the attempted 2008 acquisition of the space focused portions of Canadian firm MacDonald Dettwiler (MDA) by US based Alliant Techsystems (ATK) for $1.3 billion. Of course, the 2008 MDA acquisition was blocked by the federal conservative government to insure ongoing Canadian access to RADARSAT data and for national security and economic infrastructure issues which have not yet been formally addressed or resolved although MDA has since moved on to become the prime benefactor of Canadian government contracts relating to Earth imaging and arctic sovereignty. MDA isn't even terribly unique for the Canadian space systems sector. The federal government feels pretty much the same about communications icon Telesat (which, as outlined in my March 22nd, 2011 post "Telesat Sale (or Recapitalization) Near (or Not)," is having current difficulties attempting to find a buyer) and even Com Dev International (with its exactEarth subsidiary focused on providing satellite-based ship monitoring for global coastal authorities) would likely have a difficult time with the Canadian government if it tried to sell itself to a foreign company. Telesat, MDA and Com Dev are the three largest space systems firms in Canada (the "Three Kings" of the industry). They're Canadian owned (even Telesat, where the controlling interest is held by the Canadian crown corporation Public Pension Investment Board) and difficult to sell anywhere but to another Canadian company. These three firms are also not normally included with any list of companies belonging to the Canadian "aerospace" sector. Why is the space systems sector treated differently that the aeronautical sector, which seems to be able to sell Canadian companies to anyone at will? That's also easy to understand. The Canadian space systems sector is essentially governed by a different set of rules as part of the Industry Canada science & technology strategy as outlined in documents like the Mobilizing Science and Technology to Canada's Advantage (May 2007) and the Mobilizing Science and Technology to Canada's Advantage Progress Report (June 2009). Those two documents are the closest thing Canada has had to a long term space strategy (not including the unreleased LTSP) since the 2003 publication of "The Canadian Space Strategy." These rules focus primarily on commercialization of Canadian research into Canadian companies and less on access to new markets for already existing products or the buying up and integrating of foreign investors and firms into local companies. When the federal government has time to think about it, they even treat the space systems sector differently from the aerospace sector as outlined in my February 11th, 2011 post titled "Two Billion Dollars for the Canadian Space Agency, Part 2: What Our Federal Government Thinks!" So perhaps the announcement of a combined review was accidental or perhaps driven by the impending election as a way to deflect criticism away from either the lack of a LTSP, or the controversial decision on the CF-18 replacement. But now that the election has been called, this silly idea of putting two disparate industries governed by different rules together for the same assessment will hopefully fall by the wayside, just as it should be. But let's try to register our displeasure anyway, just to make sure it doesn't happen again. Of course, in the interests of full disclosure, it should be noted that I'm a member (and the treasurer) of the CSCA and also contributed to the CSCA press release, so it's likely that I'm a little biased in my beliefs. But as you can see, my affiliations are not going to effect the existing and fundamental differences between the two industry sectors. Cambridge, Ontario based Com Dev International, newly re-organized and attempting to recover from the recent layoff of 5% of it's workforce (plus the firing of it's longtime CEO John Keating) now faces new challenges in the form of direct competition against it's exactEarth Ltd. subsidiary by Orbcomm of Fort Lee, N.J. Both firms are looking to providing satellite-based ship monitoring for global coastal authorities, according to the March 25th, 2011 Space News article "Neck & Neck Race To Be First In Tracking Ships From Space." Both firms also perceive this to be a far more profitable service business (with profit margins of 60% or better) than the traditional satellite parts business, where Com Dev is an acknowledged "niche" leader and where profits generally hover in the more modest 25% range. Oddly enough, both firms have also faced recent launch delays on their selected U.S., Russian and Indian rockets and both firms are now counting on fresh launch dates in mid-2011 to field their next generation technology in a field formally know as satellite automatic identification systems (AIS). Orbcomm is planning to make AIS capacity a feature on all 18 of its second-generation satellites, which are scheduled to be launched beginning later this year. The last of it's first generation satellites failed sometime before February 1st, 2011, according to the February 2nd, 2011 Space News article "Orbcomm Admits Key Maritime Monitoring Satellite Failed in Late 2010." According to the March 16th, 2011 Sat News Daily article "exactEarth... An Exacting Acquisition (Satellites)" exactEarth recently purchased two existing satellites with AIS payloads from SpaceQuest Ltd. of Fairfax, Virginia as it's entry into the market and expects to add two new satellites incorporating next generation advanced on-board AIS sometime this summer. Earlier this year, exactEarth also won a “standing offer,” worth up to $4.7 million CDN to provide data to the Canadian Space Agency (CSA) for such services as search and rescue, environmental and fisheries protection, Arctic monitoring and marine security. According to the March 25th, 2011 Spaceref.ca article "COM DEV Financial Results Sees Military Segment Rise but Civil and Commercial Segments Decline" the company saw revenues decrease in the first quarter (Q1) of 2011 as compared to Q1 in 2010 from $56.7 million to $48.7 million but saw new orders rise to $59 million as compared to $51 million a year ago. The company has also announced an initiative to re-purchase up to 10% of its stock. 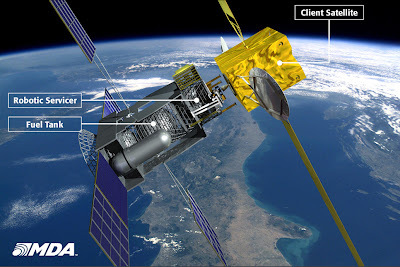 Telesat Sale (or Recapitalization) Near (or Not). A bidding group that includes Blackstone, KKR and Providence Equity is set to make a binding bid next week of between $6 billion and $7 billion for satellite company Telesat -- but Telesat might short-circuit that deal and instead borrow money itself and give shareholders a dividend, a source close to the situation said. The Post article goes on to state that "the banks considering financing the deal are nervous about underwriting a buyout that may take up to a year to receive regulatory approval, especially considering this week's market fall, the source said." The Post, being focused on New York and the United States might have forgotten to mention all the fuss and bother in Canada surrounding the federal budget, which is widely expected to lead to lead to a parliamentary non-confidence vote and a follow-up election in May 2011. Any potential Telesat sale to a non-Canadian firm could very easily become an election issue, which is a prospect that no sensible banking or telecom executive would ever relish. ... was $228 million in 2010, with a foreign exchange gain of $164 million, compared with income of $431 million in 2009 on a foreign exchange gain of $335 million. The company also reported an $11 million loss on financial instruments that partially offset the lesser foreign exchange gain, compared with a $117 million loss in 2009. Since 2007 New York-based Loral Space and Communications has owned 64 percent of Telesat with the Canadian crown corporation Public Pension Investment Board owning the rest. However, final voting control remains with the Canadian crown corporation. Telsat is the world’s fourth- largest satellite company and one of the "Three Kings" of Canadian commercial space activities. News & Notes from the 2011 CSCA Conference. According to the March 17th, 2011 Canadian Press article "Worry Canada could fall behind in the space business" there is "concern that Canada may eventually fall behind in the increasingly competitive field of satellites and other such technology." That quote is mine, as indicated in the article and I stand by it, but its only a part of what we were hoping to highlight at the 2011 Canadian Space Commerce Association (CSCA) conference and annual general meeting, held last Friday at the MaRS Discovery District. Speaking of the CSA, it's worth noting that Josh Dore, the technology development manager for the CSA provided a useful outline of CSA missions, structures and requirements in his presentation on commercializing space technologies and CSA VP Chummer Farina ably contributed to the panel discussion at the end of the day. Both specifically mentioned funding restrictions and the impact that funding and government priorities have on the implementation of CSA programs. Both also strongly suggested that business and the public actually have more input into the process than is generally realized and somewhere along in the discussion, it was also mentioned that the federal budget is coming down this week, which could quite likely lead to an election in May 2011. Federal government agencies like the CSA generally don't embark on new policy initiatives during election campaigns. The CSA assessment was echoed by Euroconsult North America President Steve Bochinger in his presentation on the "Canadian Space Sector in the International Landscape" where he stated that the Canadian space program has to deal with "permanent budget tension" which has re-focused the traditional Canadian support for pioneer technologies (such as robotic, radar and broadband) into specific support for individual operational systems (such as the Polar Communications and Weather mission and the Radarsat Constellation mission) and demonstrations (such as NEOSSAT and SAPPHIRE). According to Bochinger, the recent difficulty Canada has had formulating a long term space plan highlights "unclear Canadian governance" and makes it unlikely that the CSA alone will be able to develop and commercialize next generation breakthrough technologies. Frank Teti, the MacDonald Dettwiler (MDA) manager of autonomous robotics provided a useful overview of the MDA space infrastructure servicing (SIS) project but left out the most important part. Sources at MDA have indicated that a Friday, March 18th, 2011 informational session at the MDA Brampton robotics factory (which will likely perform most of the work on the SIS project) focused on how MDA has moved away from being reliant on "big government contracts" towards a business model focused almost entirely on "commercial services." As outlined in my March 15th, 2011 blog post "Macdonald Dettwiler Gets "Anchor Customer" for Brampton Robotics Plant" the company has entered into a $280 million dollar agreement with satellite services provider Intelsat S.A for the on-orbit refueling and servicing of Intelsat satellites. An artists rendering of Martian greenhouses. Com Dev International VP of government relations Ron Holdway was one of the happy surprises of the day with his well researched presentation on the Canadian Advanced Life Support System (CanALSS). The project, although previously promoted and most recently presented at the November 2010 Canadian Space Summit (and profiled in the November 25th, 2010 Spaceref.ca article "Closed Life Support Systems Developed for Space also help Canada's Northern Communities") is not really all that well known outside of the "usual suspects" who track the Canadian Space industry. However, it's got a legitimate business case for becoming the next breakthrough space technology and Holdway, who is also the 2011 President of the Canadian Aeronautics and Space Institute (CASI), should be commended for his efforts to keep the project in the public eye. The concept of building space greenhouses to grow food and provide an ecology for space habitats seems like a slam dunk for space agencies and organizations looking at long duration missions and trips to Mars. Holdway and MDA VP Christian Sallaburger also gave a quick, unscripted and informative presentation in their roles as advocates for the Canadian Alumni of the International Space University (CAISU) which supports the International Space University (ISU). ISU graduates a surprising number of Canadians who end up working in Canadian space focused businesses like Com Dev and MDA. 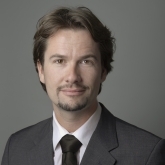 Sallaburger is no stranger to the CSCA, having presented on the topic of "Structuring for Success in the Commercial Space Sector" at the 2010 CSCA conference and annual general meeting. A number of smaller companies also received useful exposure to the larger space focused Canadian community. These include Nuvu Cameras (which talked about their newly developed camera and why NASA just had to buy it) and the three firms participating in the Start-Up liftoff presentations, where companies present start-up ventures in a format modeled after the successful O'Reily Ignite Talks. Hopefully this will impress the Canadian Venture Capital and Private Equity Association (CVCA) which traded membership with the CSCA and is listed as a platinum sponsor for the event. Also of note were the presentations from Joshua Brost, the manager of business development for Space-X and Maj. Marc Fricker, who presented remotely from his office at the Royal Military College (RMC). Both mentioned a defined Canadian need for a small micro-sat launch capability but Brost focused on how vertical integration was the key to his firms success and Maj. Fricker focused on the Canadian Defense Space Program (which was supposed to be public policy by now but seems to be stuck in a perpetual committee meeting in Ottawa, just like the CSA's long-term space plan). No doubt this isn't a comprehensive list of everything that happened on Friday (after all, I spent the day in the front of the room as the host) but it does seem to be a fair overview of some of the more interesting items. For those looking for a second point of view and a little more context to the event, it's worthwhile checking out the March 21st, 2011 Marc Boucher editorial over at Spaceref.ca titled "Harper Government and Ottawa Bureaucracy Hamper Commercial Space Industry." Satellite services provider Intelsat S.A. announced today that it has entered into an agreement with MacDonald Dettwiler and Associates (MDA) for the on-orbit refueling and servicing of Intelsat satellites, according to the March 15th, 2011 press release "Intelsat Picks MacDonald, Dettwiler and Associates Ltd. for Satellite Servicing." 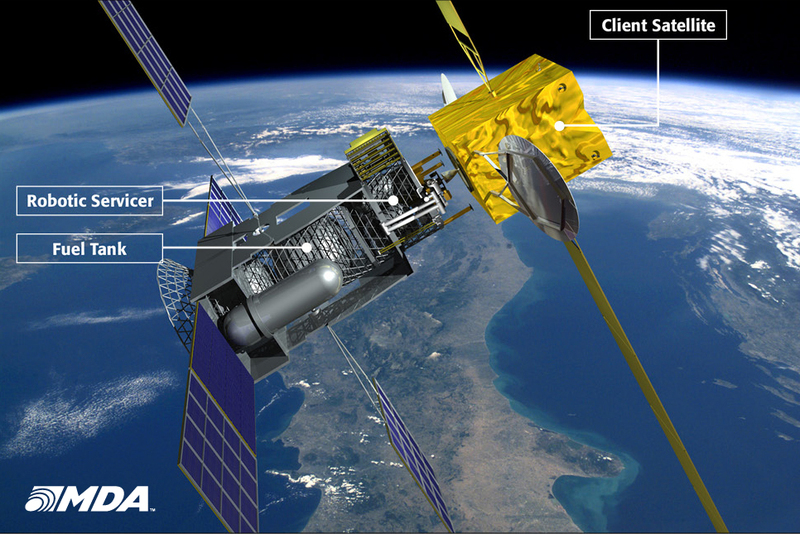 The MDA space infrastructure servicing vehicle, connected to a client satellite. According to the press release, the services provided by MDA to Intelsat under this agreement are valued at more than US$280 million over the initial terms of the contract. The program, which is priced as a service and will be offered to other satellite providers, is expected to be operational before 2015. According to MDA President Dan Friedmann, the contract will provide an "anchor customer" allowing MDA to move forward with its Space Infrastructure Servicing (SIS) vehicle, which will be launched "into near geosynchronous orbit, where it will service commercial and government satellites in need of additional fuel, re-positioning or other maintenance." In a conference call this morning, Friedmann stated that the SIS system will be based on work that MDA has previously performed for the National Aeronautics and Space Administration (NASA), the Canadian Space Agency (CSA) and other civilian and military agencies. The program will also help "leverage the existing skills" of the MDA Brampton Robotics division, which is responsible for the US space shuttle's Canadarm and the Mobile Servicing System for the International Space Station (ISS). As previously reported in my March 3rd, 2011 post "Downsizing Announced at MDA Robotics" the Brampton robotics plant was bracing for layoffs without an ongoing "anchor customer" to replace the work surrounding the space shuttles. Today's announcement will not eliminate those layoffs (forty are expected to be laid off this year) but may reduce the overall downsizing in subsequent years. It is expected that the SIS program will eventually employ 100 plus people. MDA has also selected Intelsat General Corporation as its exclusive channel to bring on-orbit services to the US Government. An Immediate Need For Geo-Spatial and Remote Sensing. According the the March 12th, 2011 Official Google Blog post "Post Earthquake Imagery of Japan," the giant search engine company Google is working with satellite imagery providers (including geospatial provider Geo-Eye) to get the latest available information from the areas affected most by the recent Japanese earthquake in order to assist and coordinate disaster relief activities. Here is some interesting video coverage of the disaster from the ground. The key to the Japanese recovery efforts starts with an inventory of the damage and satellites have become an invaluable aid to develop this efficiently and quickly without the need to rely on an existing infrastructure, which could be damaged or destroyed in the initial catastrophe. Before and after shots of Japanese earthquake devastation..
Of course, the use of aerial or orbital photography to document earthquake damage goes back to at least the early years of the 20th century, when the city of San Francisco was photographed from a kite just weeks after the devastating 1906 earthquake. 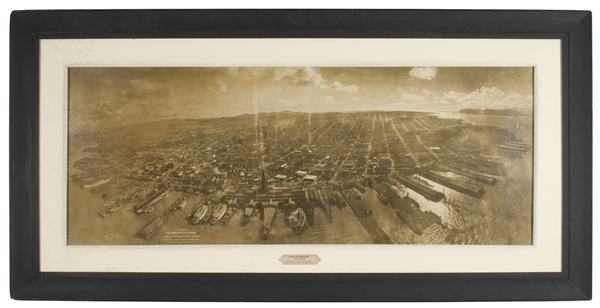 A rare aerial photo of San Fransisco in 1906. The real difference today is how the data can be collected in hours rather than weeks and then integrated into a complex set of geographic and spatially referenced data and information points that can guide relief efforts in real time. 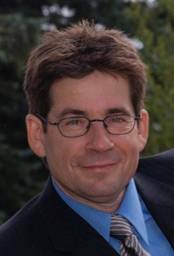 But according to Dr. Bob Ryerson, an award winning Canadian scientist and expert in the growing field of remote sensing and geospatial imagery, disaster relief is not the only area where this technology can be useful. He's even written a book about the applications, titled "Why "Where" Matters" which focuses on what he calls a "new economic era" which he feels is driven by and dependent on "geo-spatial or geographic information." ... today individuals, businesses and governments at all levels can now make geo-decisions based on better information that is more easily accessible than at any time in history. Not only do we all have access to the data, we also have ready access to the low or no cost tools that enable the non-specialist to use that data. Anyone capable of accessing and using the internet can access and use geospatial information relevant to themselves, their community, business, country or global environment. That might sound complex at first glance but Dr. Ryerson breaks it down into small, easily digestible bite sized pieces by suggesting that pretty much every organization that collects data will benefit by knowing where the data came from and how that data fits into the bigger picture. For example, Toy's R Us will benefit from knowing where families with school age children are located. Robinson's will benefit from access to census information showing where it's clothing buyers live and how they dress within specific geographical locations. Among the areas Dr. Ryerson feels are ripe for revolution are the monitoring of environmental processes, management of strategic commodities including crops, grazing lands and water, policing and security, infrastructure renewal, community planning, economic development and service delivery (including business development, marketing and risk assessment). Even Canadian Space Agency (CSA) President Steve MacLean has come out and said that data obtained about the Earth from space "now has the precision to contribute meaningfully to Earth based activities" such as resource tracking, mining, farming and industry. MacLean made the comment during his keynote address at the University of Toronto Space Program according to the March 2nd, 2011 Spaceref.ca article "Growth in Space Utilization to Benefit Canadians." I've been in business since the 1970's and every time there is an economic downturn our business improves. Our best year was 2009. Here's looking at his continued success. Men Against Machines = Inspiring Television! 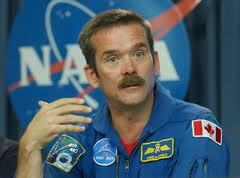 The only scheduled, upcoming Canadian astronaut mission to the International Space Station (ISS) is Chris Hadfield, currently training for his long duration stay in 2012-2013, when he will become the first Canadian ISS commander. Unfortunately, after Hadfield, it looks like Canadian astronaut activities are going to wind down for the foreseeable future. At least, that's what Canadian Space Agency (CSA) President Steve MacLean seemed to be suggesting last week when he was in Toronto for the University of Toronto Space Program, which focused on "Current and Future Prospects." My interview with Dr. MacLean is included with the March 2nd. 2011 article "Growth in Space Utilization to Benefit Canadians" on the Spaceref.ca website. Of course, it's fair to note that robots and satellites have always made good business sense for Canada. Machines generally cost less than people and can be "commercialized," "productized" and more readily turned from automated process and data collection tools into useful business ventures with consistent, reproducible returns on investment. But sometimes, robots can also remind us of the need to remember that our scientific and commercial activities cannot thrive without the ability to engage the people and tell a good story. 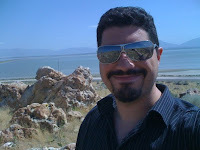 For example, according to blogger Shelley Palmer, in her February 17th, 2011 article "Man vs. Watson: The IBM Jeopardy Challenge," the key takeaway from the recently televised challenge on the popular Jeopardy television program between the International Business Machines "Watson" supercomputer and several humans isn't that machines are taking over or are more capable than people. IBM's current Watson preparing for Jeopardy 2011. If you’re a student of innovation, or just want to learn about how important showmanship was to Industrial Age innovators, do a little research about the World’s Columbian Exposition aka The Chicago World’s Fair of 1893. Thomas Edison and Nikola Tesla duked it out for the right (and the contract) to light up the fairgrounds with electric lights. Although Tesla and Westinghouse ultimately won, the real winner was science and innovation – for the first time in history; people saw (in a dramatic fashion) how electric light bulbs were going to change our world. It is in this spirit that we should look at the IBM Jeopardy Challenge. 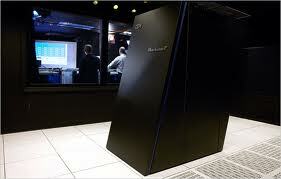 Palmer believes we should congratulate IBM for building a machine that inspires, informs, enlightens and entertains. She thinks we need more of these demonstrations in order to popularize science and technology. 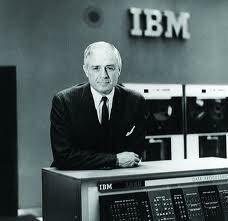 Thomas Watson Jr. IBM president 1952-1971. She may be more right than she knows. According to the February 16th, 2011 CNET News article "Despite reports, Watson did not crash during 'Jeopardy' taping" the IBM computer had serious performance issues during the show and seems to have shut down several times which stretched out the taping to four hours, an unusually long period for a Jeopardy taping. It seems that the human producers needed to go out of their way to condense the shut downs into a typical fast paced entertaining episode, just like all the other Jeopardy programs. Speaking if which, as I recall my television history, being able to talk directly to a computer normally turns out to be a distinct advantage for the human. 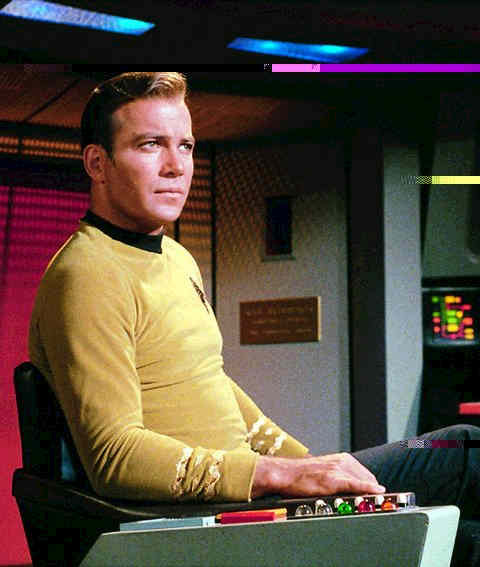 Just ask James T. Kirk, the fictional captain of the iconic Starship Enterprise from Star Trek who's second best conversational skill (after seducing alien women) was his ability to totally ruin a computer simply by talking to it. William Shatner as Capt. Kirk 1966. In Return Of The Archons, an unseen computer called Landru, programmed to “destroy evil”, governs the planet – until Kirk convinces Landru that it itself is evil, at which point it explodes. In The Ultimate Computer, when the experiment M-5 takes control of the Enterprise, Kirk appeals to the guilt that its human-derived personality feels over the deaths it has caused, making it drop its defensive shields as an act of suicide. In The Changeling, Kirk tricks an alien probe that believes it is perfect into realizing that it has made an error – and as a result, it destroys itself. The tension in these 1960's television programs comes from the interaction between people and machines in the very same way that the recent Jeopardy contest did. 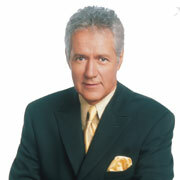 Jeopardy host Alex Trebek 2002. Without host Alex Trebek and contestants Ken Jennings and Brad Rutter, there would have been no compelling television to highlight this demonstration of IBM innovation that Watson represents. Even the US "Defense Department wants to be better storytellers" according to the March 6th, 2011 post of the same name on the Diatribe Media site. To survey narrative theories – understanding the nature of a story and what makes one up. To better understand the role of narrative in security contexts – asking what role stories play in political radicalization and how they influence participants in politics. So if Canada wishes to remain in the forefront of space focused and scientific activities, we may just need to go about hiring some of our own swaggering showmen to promote innovation and drum up public support for ongoing, consistent science and technology funding. And for those who don't believe that television shows and storytellers have anything to teach us real people, it's worth noting that the first person to beat Watson in a game of jeopardy was a politician who tells good stories, which also seems to be a large part of what it takes to be a starship captain. 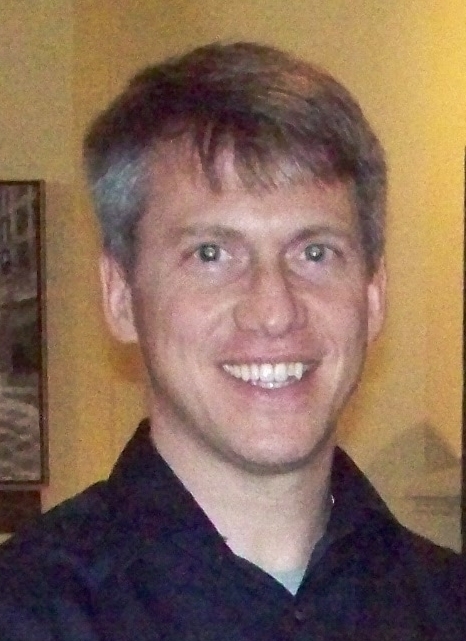 Check out the March 5th, 2011 NJ.com article "Rush Holt beats supercomputer" if you'd like to learn more. 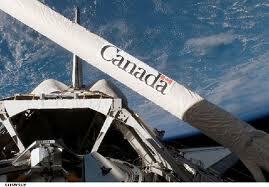 Labels: Canadian Space Agency, Canadian Space Strategy, Funding "rocket science"
Is it time to wind down the Canadarm? According to Macdonald Dettwiler (MDA) President Daniel Friedmann "the company has commenced downsizing its Brampton based robotics group." The MDA Brampton robotics group is responsible for the US space shuttle's Canadarm and the Mobile Servicing System for the International Space Station (ISS). Business in this division was always expected to shrink as the space shuttles retire but the lack of a Canadian long-term space plan (which would allow companies to plan ahead for future programs) was also cited as a contributing factor in the decision. Friedmann made the statement about eight minutes into the February 28th, 2011 Fourth Quarter and Year end results Conference call. The conference call podcast is available in a variety of formats on the CNW Group website. We have given notice to people and we have a controlled ramp down of that business over the next 18 months. That is ongoing on as we speak... We do not see anywhere a Canadian long term space plan in the works and we are simply precluded from working in the United States (or anywhere else) in this field except for small bits in areas I report. So we are on a ramp down and the only thing that can reverse that trend is our favorite on orbit servicing plan. The proposed MDA on-orbit servicing plan was pitched to the federal government multiple times of the last several years as a method to repair and perform on-orbit servicing of satellites using technology developed through the Canadarm program. Although subject to heavy lobbying, the proposal so far remains unfunded by the Canadian government. The poor health of the robotics division is common knowledge to the Canadian space industry and also came up in the 3rd quarter MDA conference call, as reported in my October 31st, 2010 blog post "Robot Wars II: MDA Attacks." According to Friedmann, the project requires "an anchor customer" for the robotics division to survive. 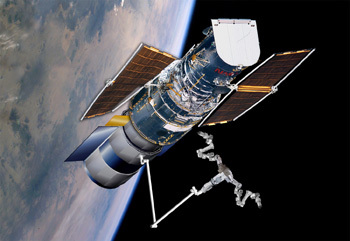 An MDA proposal for servicing the Hubble (2005). Overall, the company reported a fourth-quarter net loss of C$54.2 million or C$1.32 per share, compared to net income of C$30.2 million or C$0.74 per share in the fourth quarter of the previous year. Which really isn't all that bad, given the big jump in revenues (total operating earnings for the year increased to $148 million or $3.61 per share from $107 million or $2.64 per share), the recent sale of its property information business (which has left the company with substantial cash reserves for acquisitions) and the growth of subsidiary MDA Geospatial Services (which is focused around selling data collected from MDA satellites). In our experience and the experience of many companies, it is very hard to be a leading member in a defense type business when your own country is backing away. Our problem right now is that, at least on paper, Canada does not have any UAV plans for the next several years, which is mind boggling, quite frankly. Almost every other developed and upcoming nation in the world does. So we're discussing that with the government. I can't image how the they're going to protect our soldiers (without UAV's) if they deploy again. But, as a precaution, we are moving a significant portion of our (UAV) operations to Australia, and basically going to operate from there, where they are committed to grow. According to the March 1st, 2011 article on the European Association of Remote Sensing Companies (EARSC) website titled, "Cash-flush MDA Looks Beyond Canada for Growth" the company is now "hunting for an acquisition target in the United States, setting up offices in Moscow to harvest satellite communications contracts in that region and relocating its unmanned aerial vehicle military service business to Australia." The MDA "Heron," a medium altitude, long endurance UAV. The article goes on to state that MDA is facing a downturn in two of its businesses (robotics and UAV's) because of decisions by the Canadian government plus the retirement of the U.S. space shuttle and presently "views telecommunications satellite opportunities in Central and South Asia as far more promising than in North America."